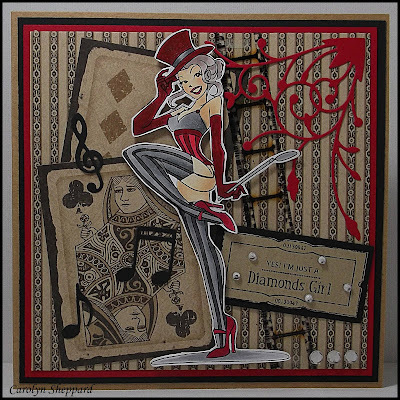 Hi everyone, Carolyn here, today I would like to share with you a card I have made using the risque "Burlesque Bessie" digital stamp which is part of the Blue Butterfly Digi Images and available through Bizzy Bec's here. I have coloured the image with copic markers and added a corner flourish using a Memory Box die "Madera Corner" which are available by pre-order from Bizzy Bec's Online Store. The sentiment is also from Bizzy Bec's and is from the "A Little Bit of Everything" Bizzy Bec's Sentiments which are also digi images. 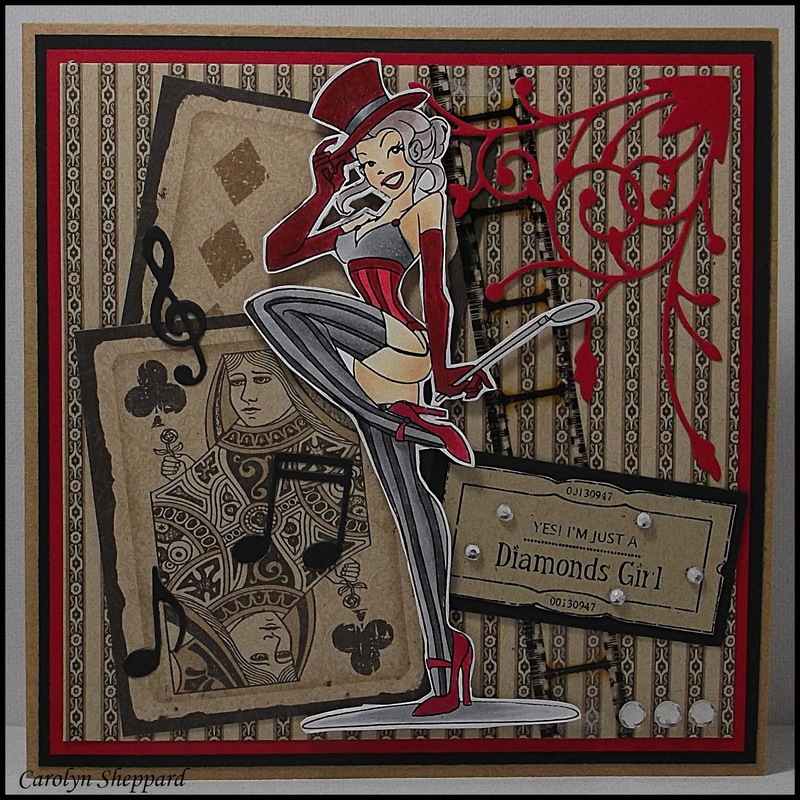 Bizzy Bec's have some great digi stamps which are perfect to make that special card for someone special. I just love digital images as you get your purchase instantly, no waiting for the mailman for days or weeks. You can get creating straight away. 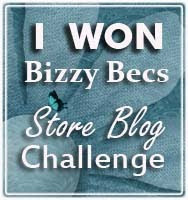 You still have time to enter the December "Christmas" themed challenge at Bizzy Becs Store Blog Challenge here. 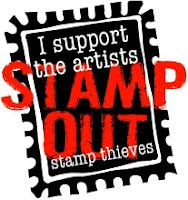 There is a terrific prize which is sponsored by ..Artii Craftii Creations .